Yet another fine vegetable available in several varieties with precious little useful information on the relative merits of each. The best we could find was this evaluation of chard types. Based on that, and general esthetics as well, we reckon the only choice must be the delightfully pretty variety Bright Lights. Note that Chard, like most things with early greens, is especially subject to attack by birds. The wise grower will consider bird netting or row cover for such crops. Chard is fairly frost-hardy and so can be planted in the garden 30 days before the frost-free date—most sources say “as soon as the ground can be worked”. If you’re in a hurry for some chard, follow that advice. But less damping-off occurs, and stands are likely to better if the first planting is delayed until the average daytime soil temperature at seeding depth is 50° F. or higher. Air temperatures hereabout hit 50° pretty much when the soil can fiirsy be worked, but the soil temperature may lag that a bit. Use your trusty soil thermometer and your trusty head to decide on a date. Unlike the case with their cousins beets, where we want a finished end product, chard is a vegetable that we want to be harvesting through the season, so the sooner we get it into leaf, the more we get out of it. Germination times are from one to two weeks, depending on weather and luck. If you start seeding very early, it could take 2½ weeks till you know if it was too early; soiwing some more every few days till you get your first emergence is probably wise. Chard is tolerant of many things, but it doesn’t do its best in hard, clay-ey, or crusty soils: it wants deep, well-drained, friable soils with enough organic matter in it to prevent crusting. Chard is somewhat sensitive to soil acidity: a low (acid) soil pH results in stunted growth. It prefers a pH of 6.2 to 6.8, even though it will tolerate 6.0 to 7.5. Chard is almost invariably direct-seeded where it will grow (as opposed to being raised as seedlings for transplanting, which it doesn’t like.) Plant the seed about ½ inch deep and keep the soil well moistened. Optimum spacing, at least in deep-dug or raised beds, is about 8 inches. A chard “seed” is actually a cluster of seeds in a dried fruit: often, several seedlings will grow from each fruit; hand-thinning is almost always necessary (and important). Chard is notoriously slow to germinate, so the seedlings may emerge over a relatively long period of time, making a stand of different sizes and ages of seedlings. Poor stands are often the result of planting too deeply or of the soil’s crusting after a heavy rain. Some find that putting a board over the row after planting preserves soil moisture and eliminates crusting from hard rains. (The board must be removed as soon as the first seedling starts to emerge.) Use a garden fork or the like to frequently but lightly scratch the soil surface around chard, to keep it from crusting—but don’t scratch deep (not over an inch down) or you harm the roots. 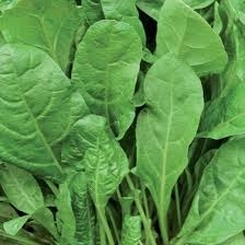 To obtain the best quality, chard should make continuous growth. In other words (duh), keep the bed well-watered (though not sodden). Chard is a heavy feeder, so a side dressing every four to six weeks helps. Cultivate the bed regularly to keep the soil free of weeds that would otherwise compete with the chard for water and nutrients. Chard typically takes 55 or so days to mature, but it is a “pick and come again” vegetable that will continuously grow new leaves for you. In fact, for good plant health, you have to pick it regularly through the season. Harvest by removing outer leaves whilst they are yet tender, leaving the center ones to grow on (chard leaves are at optimum quality when just fully expanded or slightly smaller). Remember: if you don’t happen to want any chard when the leaves are ready, cut them anyway—more will grow, and it keeps the plant at its best. In summer, the leaves may turn a little bitter (though generous watering helps control that); if so, keep picking and discard, but keep trying samples till they’re to your taste again—though many people like slightly bitter cooking greens. Remove leaves to be harvested by cutting them down near the base of the plant, say an inch or two above the soil; when cutting, have a care to avoid damaging the growing bud in the center of the growing leaves. When harvested carefully, chard will continue to produce edible leaves through summer into late fall, and perhaps beyond. When the leaves are done, harvest the stalks: in Europe, the stalks are considered the best part of the plant (but give the stalks somewhat more cooking time than you usually give the leaves). There’s a good chance you can still be picking at Thanksgiving, and maybe later. In any event, if you’re adventurous, when your chard plants seem done for the year, just cut them back some and mulch them well; you might just find fresh new chard leaves appearing come springtime. (But if so, watch your plants and remove flower stalks as they develop.) And remember that chard is not a perennial but a biennial, so don’t count on much in any hypothetical second year of growth. Besides any links presented above on this page, the following ought to be especially helpful. Chard is a member of the Chenopodiaceae (“goosefoot”) family, quite closely related to beets—indeed, chard is in essence just a “beetless beet” grown for its leaves—and to spinach. The ancestral form of all beets (Swiss chard, garden beets, fodderbeets, and sugar beets) is the wild Sea Beet (Beta maritima), distributed throughout the Mediterranean and Near Eastern areas. The wild form is very variable and adaptable, with branched taproots and varying sugar content. Swiss chard (it seems the C is never capitalized), the main root of which is not swollen, was already being cultivated as a leaf vegetable in Greece by around 400 B.C. Through mutation, varieties have been developed with widened leaf stalks which are used as a vegetable similar to asparagus. It was not until the late 16th century that large-root beets, a branching-off from the leaf-vegetable line, were described in German literature. Some people prefer chard over spinach, not on culinary grounds, but because of the two vegetables’ relative contents of oxalic acid; we (disclaimer: not medically trained) think that’s a nonsensical basis on which to choose. You loaded this page on Friday, 19 April 2019, at 16:31 EDT. It was last modified on Saturday, 2 February 2019, at 23:30 EST.